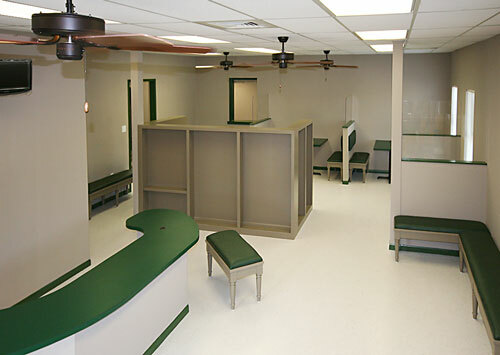 Mike assisted the Animal Defense League of San Antonio with an extensive remodeling of its reception and interviewing area. To insure that pets are matched with suitable pet owners, the League requires a personal interview and documentation from adoption applicants. The executive director and board for the League wished to improve this interviewing area for greater privacy and comfort. Several interview “booths” were added with privacy panels. 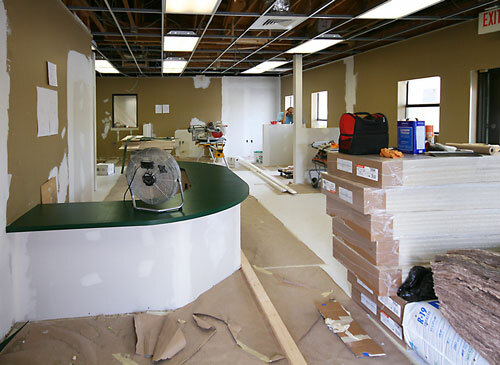 The receptionist area was expanded and enhanced for files, computer and printing equipment. And a long bench was built for greater seating capacity. 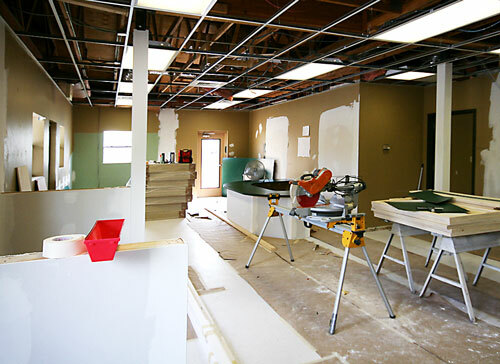 Mike consulted with a custom cabinet maker to optimize space and efficiency. 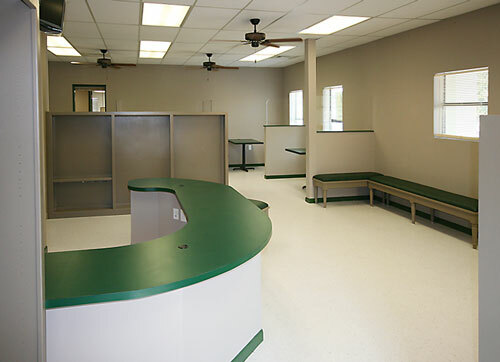 Upholstery and counter tops were designed and built for long-term durability in this high traffic environment.